Our son is home from college and just told us the devastating news that he was bullied in Middle School and we missed it. An only child, he always had difficulty making friends. He was (and still is) shy, quiet, reserved and intelligent. He told us he was punched, called names and life was horrible for him at school every day. He said he now suffers from depression. My husband and I have been talking/remembering and most of all, crying for the last few days since he told us. Our story is too late for us, but I want to tell it so it may help other parents out there. He was quiet, introverted and spent a lot of time in his room. We were always asking about friends, but he never seemed to have any from school. He had some friends that were kids of our friends he has known since childhood and is still friends with them to this day. It was all my husband and I ever talked and worried about. We asked him what was wrong countless times, even asking him if he was being bullied, but he always pushed us out. We did the research on bullying, but he was still eating well. He also never complained about school. Never said 'I don't want to go to school tomorrow' aside from the odd occasion when he had a cold etc. In hindsight of course the signs were there, but he never told us and we never pushed it. He also told me yesterday that he 'hated' me back then because I didn't see what was happening. He did go on to say that he realizes now it wasn't HATE it was ANGER. He said he doesn't think about it much these days, unless he is saddened or upset about something else and it triggers these old feelings of 'REJECTION, LONELINESS, AND ALL THE PAIN THAT GOES WITH THAT. He asked us if he could get counselling and of course the answer is YES. We failed our son back then and cannot change that now, but all we can do is be the best parents we can be now to make up for the terrible mistake we made. Your son will turn out to be a better man than any of his bullies. 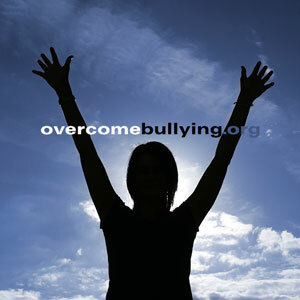 Bullying is always an expression and confession of inferiority. For your kind words. We have grieved for the little boy we can no longer help, but now have the tools and the knowledge to help our beautiful young man. Please don't let anyone else make the same mistake. If your child is introverted and spends too much time in his/her room by his/herself-then something is wrong. Please get help.